There is a certain poeticism when you think about the ground that Battery Park City is built on. Nearly four decades ago – Battery Park City was merely a concept born from the construction of the World Trade Center. 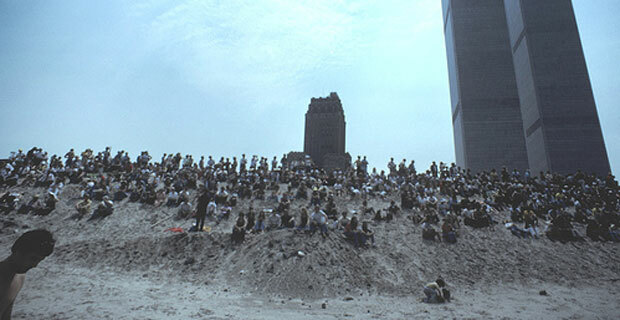 Troublesome to remove landfill from the World Trade Center was more of a nuisance than a deliberate urban plan. Either way, the gaping holes from the World Trade Center site Â gave rise to an urban planning precedence of a self encompassed city development. It is also poignant to note hat a city born to live within the shadows and the rise of the Twin Towers will forever live in the shadows of those same buildings tragedy. Past, present and future aside – Nearly forty years later, the vision of Battery Park City is complete, and a final milestone in our community is overshadowed by the 10 year anniversary of September 11th. The last two parcels of land, now have a name – Liberty Luxe and Liberty Green. The final twin-like installations of residential complexes have finished construction and will officially round out our population to nearly 13,000 in Battery Park City limits proper. BPCâ€™s showpiece is the 1.5-mile-long waterfront esplanade, which features a plaza, marina, and views of the Statue of Liberty. Another vital community amenity: the Cesar Pelliâ€“designed Winter Garden (1988), where free public events are presented year-round. BPCâ€™s success is attributable to its sustainable aspects. A dozen projects have received or are expected to receive LEED certification, but as Cooper notes, the neighborhoodâ€™s most important â€œgreenâ€ features â€” open space, density, and proximity to transit â€” prefigured the sustainability discourse by decades. Officially, Battery Park City’s official 30th birthday is still up in the air. Â For those who consider the 1982 Battery Park City’s birthday when it opened its doors to commercial businesses, Battery Park City’s anniversary will be next year. However, if you consider the first residential move-ins as the mark of the Â neighborhood, then 2015 is your celebratory year. A far cry from the beachfront property that Lower Manhattan seemed to enjoy that hardly resemble the city we know and love now.